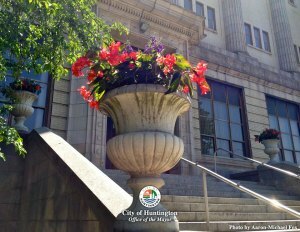 Due to the holiday, Huntington City Council will be meeting Tuesday, Oct. 15 at 7:30 p.m. in Council Chambers at Huntington City Hall, where three items will be on the agenda for second readings. Extension and amendments to the SEG Big Sandy Superstore Arena contract, a nearly $50,000 floodwall engineering contact, and modifications of the city’s Building Code attracted few questions at the earlier work session. Three resolutions appear to have little opposition, too. 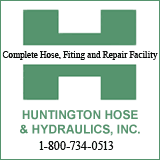 They would accept the Port Security Grant for acquiring a river capable fire fighting and rescue vehicle, and two JAG grants which combined will put the Huntington Police Department Code Enforcement Officer on the street. Among items for first reading are an extension of the Nehemiah Construction contract, authorize about $280,000 for Phase II of the floodwall FEMA certification, abandon a unanimously approved Parkway Drive 0.027 acre section, and a requirement for rear reflectors on bicycles. “I think this is common sense,” explained chairman Mark Bates, who said that the increasing pedaling activities have resulted in several “near miss” car/bicycle accidents.